Byrek is the Albanian word for pie. Byrek is very popular. In Tirana, there are numerous little shops and bakeries selling different kinds of byrek. 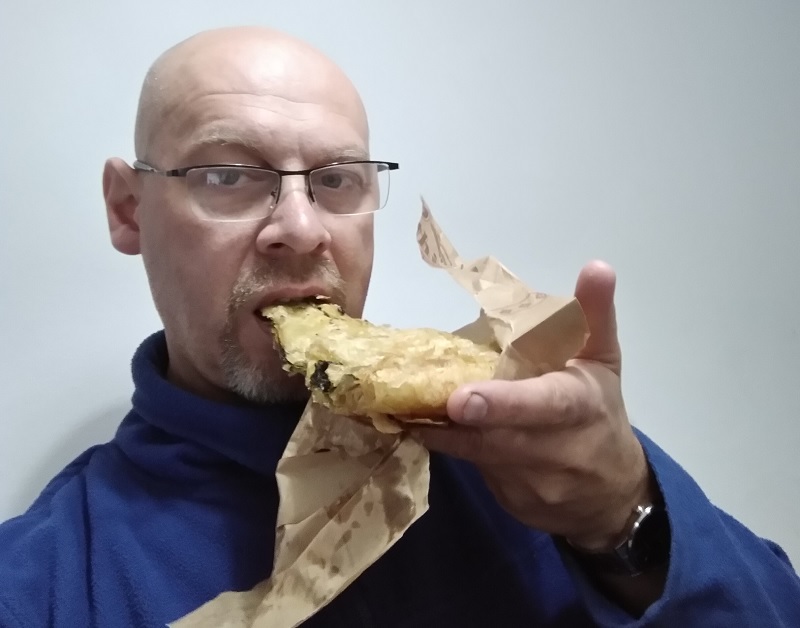 From what I’ve read, it appears to be one of the most famous street foods in Albania. It’s popular in many other Balkan and Mediterranean countries as well, but the appearance can vary. The name does as well. The Turkish name is börek. In Romania, it’s known as plăcintă and the Greek call it boureki (μπουρέκι). That’s just three alternate names. There are many more. Albanian byrek is made with salty filo pastry and its often triangular in shape. The most popular type contains spinach (byrek me spinaq), but there are other options as well. I had one that contained cheese. It was okay, but I like spinach byrek better. Byrek is often cooked in a large round tray and then sliced like a pizza. It can also be made in a similar way to a pasty. The cheese byrek I tried was prepared in that way. It was like a thin triangular pastry envelope with the cheese in the centre. The history of byrek and other pies from the börek family is a bit of a grey area. Nobody really seems to know where this type of pastry product originated. Some people speculate it may have been invented in the area that’s now Turkey. Other people have different ideas. The truth is, there is no way to be certain. Although Albanian byrek is often quite thin, it’s surprisingly filling. To make a comparison; in England, I could probably eat at least two corned beef pasties no trouble at all. If I was feeling really hungry, I may even eat three. There is no way I could do that with byrek. I’d probably explode. As for the price, I can only go by my own experience. I bought the cheese byrek from a tiny establishment in the centre of Tirana. It cost me 30 Lek (€0.24). 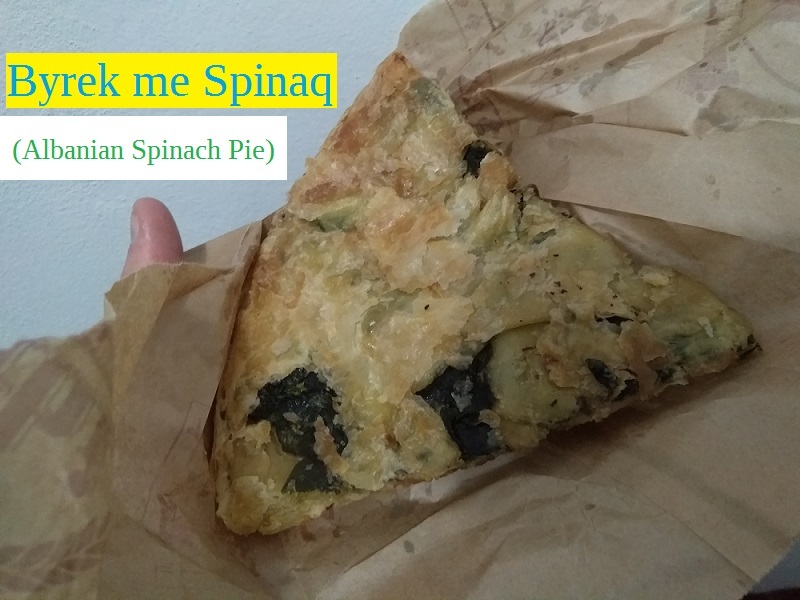 I bought the spinach byrek from a bakery on the same street. It cost 60 Lek (€0.48) and was slightly larger than the first one I tried. Forty-eight cents! That’s cheap eating. In fact, byrek is easily the cheapest street food I’ve ever encountered—in any country. If you ever visit Albania, you won’t find a cheaper way to become acquainted with traditional Albanian cuisine.